Dr. Grabowski received his undergraduate education at the University of Washington in Seattle, where he majored in Cellular and Molecular Biology. He attended medical school at California College of Podiatric Medicine in San Francisco and received his doctorate degree in Podiatric Medicine. After graduating in 2001, he completed his Primary Podiatric Residency at Westchester General Hospital in Miami, Florida. He also completed his Surgical Training at Jackson Memorial Hospital in Miami, Florida. One of Dr. Grabowski’s many accomplishments include developing the “M-145” Calcaneal external fixator for calcaneal fractures, which is marketed by Orthofix. He is also known for publishing Norwegian Scabies in the Immunocompromised Patient. He is a member of IFAF (The International Foot & Ankle Foundation). 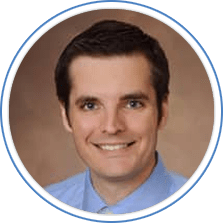 Dr. Grabowski is Board Certified in Foot Surgery, Board Certified in reconstructive rearfoot and ankle surgery, Fellow American College of Foot and Ankle Surgeons, and Reconstructive/Limb salvage foot and ankle surgery. He has hospital affiliations with Swedish Medical Center, Overlake Hospital Medical Center, Swedish Issaquah, and Overlake Surgical Center. Dr. Grabowski specializes in surgical reconstruction of the foot and ankle, including traumatic and diabetic foot care. He also performs revisionary surgery procedures. Dr. Grabowski has been in practice since 2003. 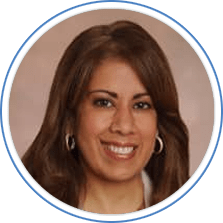 Dr. Lopez was born and raised in the Dominican Republic and originally graduated with medical degree from Universidad Autonoma de Santo Domingo in 1996. She later attended podiatry school at Barry University in Miami Shores, Florida. After graduating in 2004 she completed three years as surgical resident in Jackson Memorial Hospital in Miami, Florida. Dr. Lopez is a member of IFAF (The International Foot & Ankle Foundation). Dr. Lopez has many different accomplishments including starting a charity in 2004, which aimed to provide foot and ankle reconstruction to Dominican people with severe foot and ankle deformities. Before then, she was published in the Medical Dominican Association Journal in 1999. Dr. Lopez also received special training by the United States Navy trough a tropical medicine course. Dr. Lopez has hospital affiliation with Swedish Medical Center, Overlake Medical Center, and Overlake Surgical Center. Dr. Lopez treats several different foot and ankle conditions such as diabetic foot, foot infections, foot ulcers, and more. She is fluent on both English and Spanish and she has been in practice since 2007.